Training in Bronze American Rhythm & Intl. Standard begins January 4th! Next round of exams are December 2018. The purpose of certification is to maintain a high standard of dance. Throughout the process of preparing for an examination, a very thorough understanding of the material is achieved. 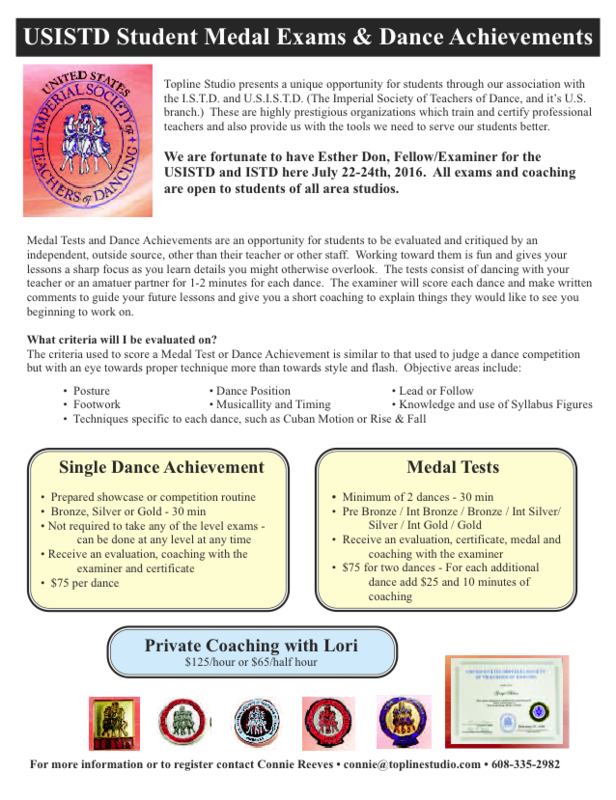 For American Style, I train teachers using Esther Don’s nationally recognized syllabi, used by the USISTD and the NDTA. For International Ballroom, I use the internationally recognized “The Ballroom Technique”, used by the USISTD, ISTD, and the NDTA. 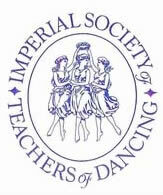 For International Latin, I use the ISTD’s internationally recognized syllabus, used by the USISTD and the ISTD. Preparing for a certification exam expands your understanding of dance concepts, improves your verbal and presentation skill, teaches you precise vocabulary for describing technical elements of figures, sharpens your knowledge of musical terms, and enhances your choreography skills. Training focuses on proper execution of each step and pattern as a leader and follower; technical training; how to read, understand and utilize syllabus manuals and how to prepare for your certification. The length of time to become certified varies greatly based on your previous dance experience and the material we are working on. Exams are scheduled in the Milwaukee and Madison areas each June and December. Professional certification training in the USISTD and ISTD styles can be done through private lessons, group classes, visiting trainers, or seminars. Private or semi-private teacher training is available at $60/hour. For infomation on training or certifying through USISTD go to www.usistd.org or contact Connie Reeves at connie@toplinestudio.com.